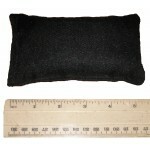 Pouches can be made for a number of different items and come in many different sizes. Designed with different uses in mind, like to protect and secure surface market buoys, lifting bags, hammers, chisels, torches and cameras, it is possible to have velcro patch, lipped tops or zip fastened pouches. Pouches can be attached to the weight belt or harness, using the webbing on the back or a stainless steel piston snap clip so it fits a D-ring. Made using the best quality materials, the design includes water drain holes. 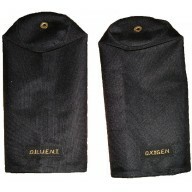 These lead shot pouches are made with 1000 denier Cordura and stitched useing uv and salt resistant .. 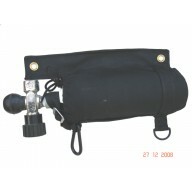 These rebreather cylinder sleeve really do keep your tanks in tip top condition, they stop any knock.. This battery pack pouch can be used for any pack. 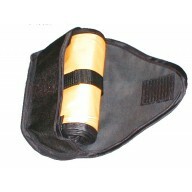 Made from heavy duty cordura this versatile pouch ..
Leg or thigh drysuit utility pocket. 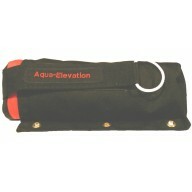 Made from heavy duty cordura this versatile pocket is French se..
Key Features. • High quaility cordura • Double seamed • 2" Velcro closure • Velcro wrap ar.. 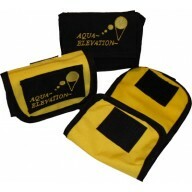 This pouch is designed for the technical diver that requires the use of a large lift bag but have no.. 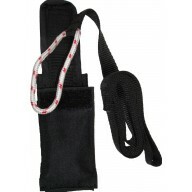 Protect your SMB with this high quality cordura pouch/pocket. Black only with black ribbon edge. Com.. 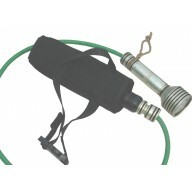 This pouch is designed for the technical diver that requires the use of a suit inflation cylinder of..
A use for anything pouch. 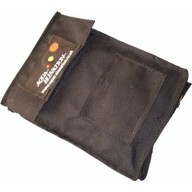 Made from heavy duty cordura this versatile pouch/pocket is French seamed .. Forget uncomfortable weight systems. These weight pockets will hold up to 5gk each in either block o..